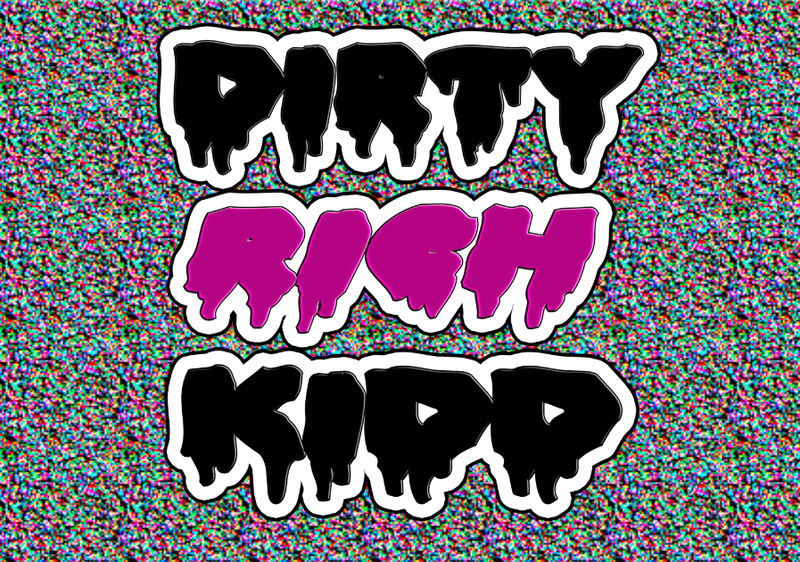 Keep your ear to the streets and the freshest beats you hear are sure to be generated from Dirty Rich Kidd. A Los Angeles native and premier rising DJ/sound manipulator, Dirty Rich Kidd’s signature style of mixing hip-hop with EDM delivers the newest tracks from the hottest artists spun together around classic beats and vocals designed to take fans on a musical exploration. Growing up in a musically eclectic household presented broad musical exposure. It was natural for Dirty Rich Kidd to experiment as a DJ as a result of listening and learning from uncle Bobby Womack, celebrated singer/songwriter/musician for over 50 years and cousin Sheila E., 80’s icon, Grammy nominated singer/musician and Prince protégé. Armed with just a pair of CDJ’s and a box of records, mixing and mashing electro beats with classic rock, pop and hip hop vocals was all done organically. No computer, no software, only music and an ear for great sound. In the booth she is counting beats and matching keys the good old fashioned way ambitiously taking cues from DJ AM, A-TRAK and GirlTalk while her heart beats to Madonna, Kanye and 90’s grunge rock. As a young DJ, she set out to take over the world one dance floor at a time. In early 2012, she did just that. With the release of her mixtape, club promoters began approaching her from all over the Los Angeles area. At the height of a hip-hop resurgence Dirty Rich Kidd’s vocal and trap samples developed a unique style of blends and transitions which led to two weekly residencies during the most popular events in West Hollywood; Fantasy Fridays and Hip-Hop Sunday. Each week over 1000 fans turn out to hear what Dirty Rich Kidd has in store. Whether being spotted in the booth solo or alongside female DJ pioneer Spinderella and Lisa Pittman, fans count on hearing their favorite sounds while being introduced to emerging artists from a variety of genres. Dirty Rich Kidd’s sets are not limited to the club circuit. Accustomed to being singled out for her talent she was the only female DJ at West Hollywood’s 2013 Pride Festival main stage, the 3rd largest pride festival in the nation. 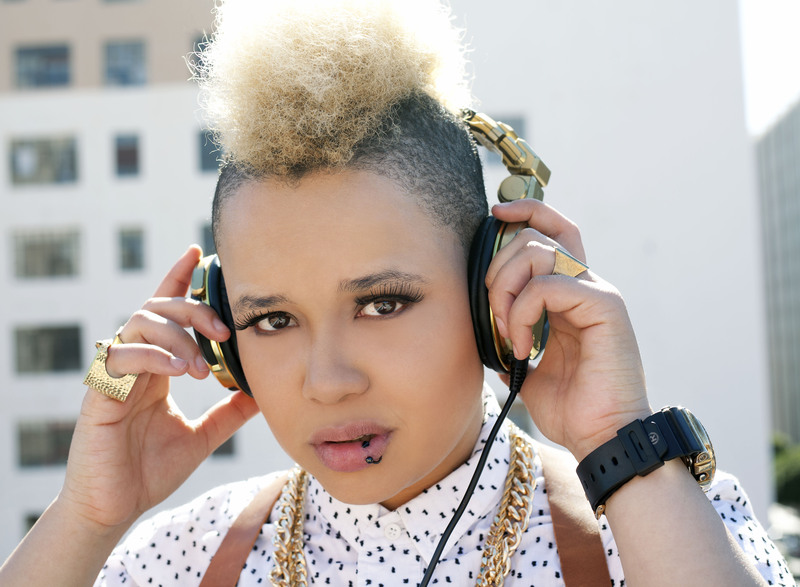 Her open format style of mixing landed her sets at both the main and hip-hop stages. Dirty Rich Kidd can be heard at special events with celebrity guest hosts such as Lil Kim, Brandy, Teyana Taylor (GOOD music), Draya (basket ball wives), & Eva Pigford (America’s Next Top Model) at My Studio, Roxbury, Confidential Beverly Hills, Club Ultra Suede. Using her talents to support her community Dirty Rich Kidd has donated her sound to art gallery exhibits, a fashion launch party for Project Runway contestant Alicia Hardesty, Long Beach’s 2012 Pride Festival (estimated 100,000 attendees) and continues to seek out other independent projects. Recognizing amazing talent in the Los Angeles area Dirty Rich Kidd values involvement in the indie music scene. Producing remixes and lending vocal features on tracks with indie artists Project Primal, Hadie Khadafi, Letron (single “Flex” featured on MTV), and Karma, a promising R&B/hip-hop vocalist and writer. Female hip-hop artist Khia has even approached Dirty Rich Kidd to collaborate on a new project. As unique as her mixing style is her fashion sense. Her token blonde frohawk tops a mesh of high-end street wear and dollar sale finds from jetrag, laced with an unrelenting love of sneakers tied together in true street punk runway fashion. Bending genres of music is just the beginning when Dirty Rich Kidd makes a DJ appearance at a hip-hop club strapped in a David Bowie t-shirt, camo and harem pants. If you want to stay as fresh as Dirty Rich Kidd, keep your ears perked as she is currently launching her own monthly party at La Cita in Downtown Los Angeles. A venue synonymous with trendsetting and the underground scene perfect for the diverse sound you expect from Dirty Rich Kidd. NICE! Tou are doibg it, Chad! So proud of you! !